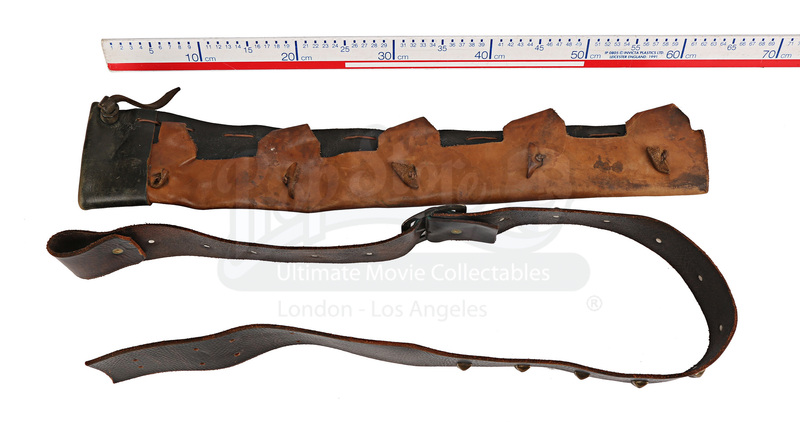 A belt and quiver from the production of Wolfgang Petersen’s 2004 adaptation of Homer’s great epic Troy. This belt and quiver were made for the production to be worn by the Trojan archers as they defended their city. 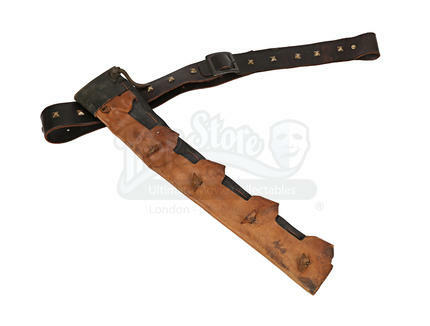 The piece features three distinct sections: the leather quiver for holding the arrows; the brown studded belt in the style of the times; and the modern leather, Pierre Cardin© belt, which would have been hidden while attached to the actor. The modern belt is listed as a size 38 and the piece itself shows some wear from production use, including scuffs, scratches, and some staining on the brown leather. 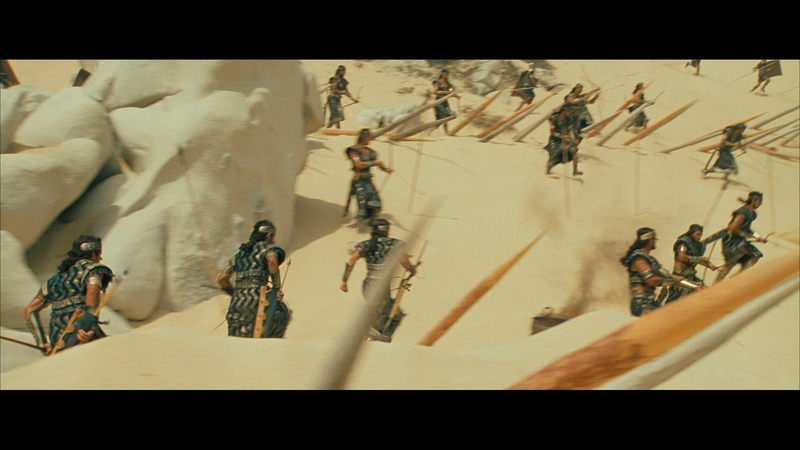 The quiver has been intentionally distressed to look worn and weathered. The piece remains in a good condition. Materials: Ferrous Metals, Leather, Man-Made Woven Fabrics.